Snap Inc. (SNAP - Get Report) , Blue Apron Holdings Inc. (APRN - Get Report) and companies hoping to avoid activist investors in the public market will likely receive their third blow from the world of index providers in the coming month as MSCI Inc. completes a review of whether it will continue to include companies with non-voting shares in its indices. MSCI's proposal, issued in June, would prohibit corporations from its indices if public shareholders don't receive any votes connected to their share position or in situations where the outside "voting power" of listed shares is less than 25% of the company's total votes. MSCI plans to complete its review in the fall. If adopted, as many observers expect, both Snap, the company behind the Snapchat app, and Blue Apron, the meal kit delivery company, will be excluded from MSCI's indices. Both companies recently completed IPOs, but Snap took a step that was unprecedented in modern times by issuing only non-voting shares as part of its public offering. 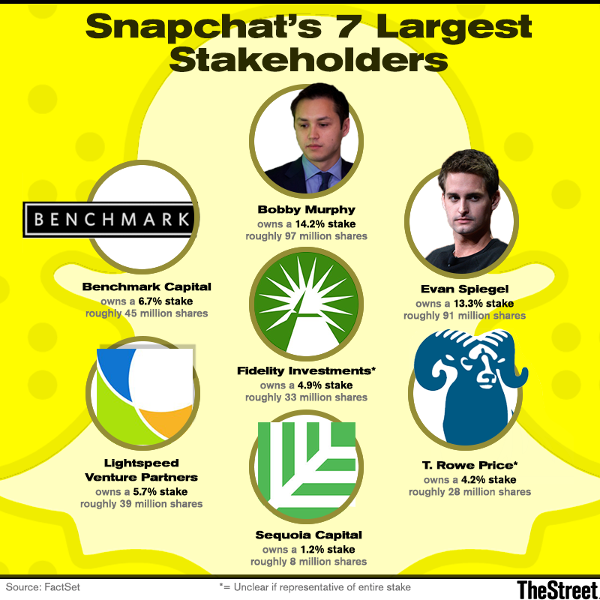 With Snap's share structure, the vast majority of voting control is concentrated with the company's co-founders, Evan Spiegel and Robert Murphy. That move essentially prompted MSCI to issue its proposal. The index provider said it introduced the proposal to "address the growing concern pertaining to listings of only non-voting shares." Institutional investors, who already take issue with a growing number of dual-class share companies listing in the public markets, embraced the Snap IPO as a rallying cry among shareholders. "What happened is the Snap IPO's only non-voting shares put investors over the edge," said Anne Sheehan, the chief of governance at the California State Teachers' Retirement System, the second largest U.S. public pension fund with $209 billion in assets. "If you are asking for our capital, we demand an accountability mechanism." In addition, Blue Apron, which issued shares with multiple classes giving insiders control, also won't be eligible to participate if MSCI adopts its proposal. As a result, many major investors won't be investing in it anytime soon. Both Snap and Blue Apron have already been rejected by S&P Dow Jones Indices LLC, which produces the S&P 500, and FTSE Russell, which puts out the Russell 3000. Currently, Snap is part of the MSCI US Equity Index but if the measure is approved it would be pushed out either immediately or after one year if it didn't start issuing shares with votes meeting a minimum threshold. Exclusion is a big deal because many big index funds, exchange-traded funds, index funds and public pension funds invest passively following major indices, such as the MSCI US Equity Index. As a result, major institutional investors including big pension funds won't invest in companies that aren't part of the indices. MSCI notes that about $11 trillion is benchmarked against its indices as of Dec. 31. S&P notes that there is about $7.5 trillion benchmarked against its indices as of Dec. 31. Corporations setting up the structure have done so in the past as a form of protection against activist hedge funds, who often push for M&A and other share-price improvement moves. It would be technically impossible for an activist fund to succeed at electing dissident director candidates to a company's board if insiders control the majority of votes didn't support their nomination. That's why companies considering IPOs will have to think long and hard about whether the huge costs of potentially not being included in any of three major S&P indices will be offset by the benefit of having a multi-class share structure providing them protection against a future activist at their gate. MSCI's proposal, which would impact its MSCI GIMI and MSCI US Equity indexes, would allow existing companies with nonvoting shares to continue to participate if they give outside shareholders about 16.67% of the vote. If the measure is approved, six companies, including Shaw Communications B and Eaton Vance Corp. would be given a year to rebalance their voting rights or be deleted from an index. And MSCI isn't alone in revisiting its listing requirements around votes. S&P Dow Jones Indices on Aug. 1 moved to exclude businesses that issue multiple classes of shares giving insiders control of votes from participating in the firm's indices, including the S&P 500, S&P MidCap 400, and the S&P SmallCap 600. The prohibition is actually much tougher in some ways than the restriction under consideration by MSCI because it prohibits all multi-class stock companies giving insiders control from entering its indexes. At S&P, existing multi-class companies, such as Alphabet, the company behind Google, and Facebook (FB), will be grandfathered in, which means they can continue to list on the index. Nevertheless, the MSCI proposal, if approved, is tougher than the measure adopted by the FTSE Russell in July, which excluded companies with non-voting rights and those with extremely limited public voting rights from its equity indices, including the Russell 3000. The index provider will continue to allow multi-share class companies to participate in its indices if they have at least 5% of the company's voting rights in the hands of unrestricted public shareholders. Altogether, S&P, FTSE Russell and MSCI are sending a loud message that Snap's issuance of only non-voting shares in an IPO was unacceptable.